Wandering the crowded aisles of Berkeley’s Urban Ore—a somewhat dodgy cross between an upscale junkyard and a down-at-the-heels flea market with an added smidgen of green ideology—with my camera and Otus, I came across a beautiful cut crystal bowl in a locked cabinet. It was love at first sight. Finding the person with the key to unlock the cabinet and negotiating the price took a bit of time, but soon enough Otus and I were making our way home to photograph our new treasure. I photographed my crystal bowl straight down using a light box and a bracketed high-key sequence of exposures. This is the technique I developed to capture flowers for transparency (actually, for translucency), and as I note in my presentation on the subject the technique produces interesting results with many subjects in addition to flowers. In this case, the high key HDR approach emphasized the contrast between the edge lines of the bowl and the negative spaces created by the transparent glass. My next step playing in Photoshop was to invert the essentially monochromatic image, transforming black lines on a white background to black lines on a white background. It’s hard to get me going on this kind of thing without wanting to play in Photoshop, so I started using LAB adjustments. How do you make a mandala from a crystal bowl? In this case, in addition to LAB inversions and equalizations, I used Nik Color Efex filters, direct painting on layers, layers, layer masks, and repeated application of some of the oddball blending modes such as Difference. Play around long enough in Photoshop and you never know what you will find! With this imagery it was visually important to me to “square the circle” with a square crop. With some of the Crystal Mandalas, like the Holographic Mandala, there is almost a three dimensional look—part of the image jumps off the plane. In contrast, with Mandala Inside, the effects create an outer translucent shell or layer, with an inner core that is much bolder and more defined. These could be small virtual worlds, and have become something completely unrelated to the original sequence of photos. When I first looked in my crystal bowl, I did not know where it would take me! From classical to contemporary, from desert to rain forest, from bud to decay, the natural form of flowers and plants has been contemplated by artists, philosophers, scientists . . . and everyone. This is PHOTO’s second benefit for the San Francisco Botanical Garden. A percentage of sales will go to support the work of the San Francisco Botanical Garden in Golden Gate Park. PHOTO is part of Oakland Art Murmur located in Oakland’s Uptown Arts District. The exhibit will be seen by thousands of visitors during the June and July First Friday art walks, and during regular hours for the duration of the show. Harold Davis will speak on “Making the Botanical Photo: The Digital Print As an Artifact” on June 7. 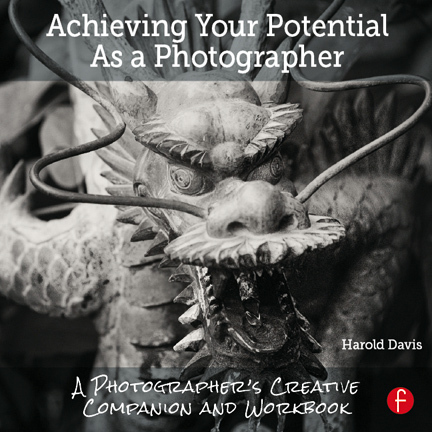 He is the recipient of many photo awards, a Moab Printmaking Master, and the author of numerous bestselling photography books, including “Photographing Flowers: Exploring Macro Worlds.” Click here for more information about this presentation. Click here for the complete Call for Entries, click here for exhibition info, here to enter work for the juried exhibition, and click here to view the PDF card for this event! Update: This adventure is sold out! Thanks for your interest. I am very, very excited to announce that registration is now open for the Photographic Caravan to Spain and Morocco in November, 2014. In a nutshell, we will start photographing in Barcelona, drive down the Costa del Sol, and spend some time photographing the fabulous Alhambra in Granada, Spain. Next, we’ll ferry past the Rock of Gibralter to North Africa, where we’ll explore Tangier, Rabat and linger in Marrakech. For me, I am totally thrilled about what comes next: crossing the Atlas Mountains to spend some time exploring, luxury camping, and photographing the Sahara itself. We’ll make our way back via the imperial Morrocan cities of Fez and Meknes to Casablanca. From Casablanca, the group will fly to Lisbon (the cost of this flight is included), where we will spend a day exploring. It’s my great pleasure to co-lead this destination photography workshop with distinguished commercial and stock shooter Bill Bachmann. Although we agree about many things, Bill has a different approach to photography than mine, and different areas of expertise—this means you will have the opportunity to learn two different skill sets from both of us. The Photographic Caravan to Spain and Morocco is 18 days and 17 nights. Accomodations are at 4-star hotels (except the luxury camping in the desert part). Many meals are included. At $5,695 per person double occupany (the single supplement is $695), I think this is a GREAT deal. Bill in particular has worked very hard to get the best prices possible, and we both have tried to plan things so the trip will include those destinations that will be very unique and special with photographers in mind. Please note that trans-Atlantic airfare to Europe is not included in this cost, although we are working to arrange a lowcost airfare for those who want to travel with the group from Newark to Barcelona, and back from Lisbon to Newark (you are of course free to make your own arrangements and meet the group in Barcelona). If this destination photography workshop interests you, I suggest you RUN not WALK to get your deposit and paperwork in. My guess is that between Bill’s followers and mine we will fill up pretty quickly (applications will be taken on a first come, first served basis). What you have to do is fill out the application form, and send it, along with a check for $500, to Bill. It’s pretty straightforward. The link is below. We won’t deposit the checks unless there is sufficient enrollment to run the Photographic Caravan. By all means, also drop me an email if you decide to enroll so I know you will be coming. If you are interested in enrolling, please click here for the registration form and mailing instructions. Do feel free to email me if you have any questions. As I’ve said, I am incredibly excited about this, and look forward to having you join me on a photographic adventure of a lifetime.